Directed by Lee Daniels and executive produced by Oprah Winfrey and Tyler Perry, Precious is a movie based on the novel, Push, that takes place in 1987 Harlem and portrays a heartbreaking story of domestic violence. 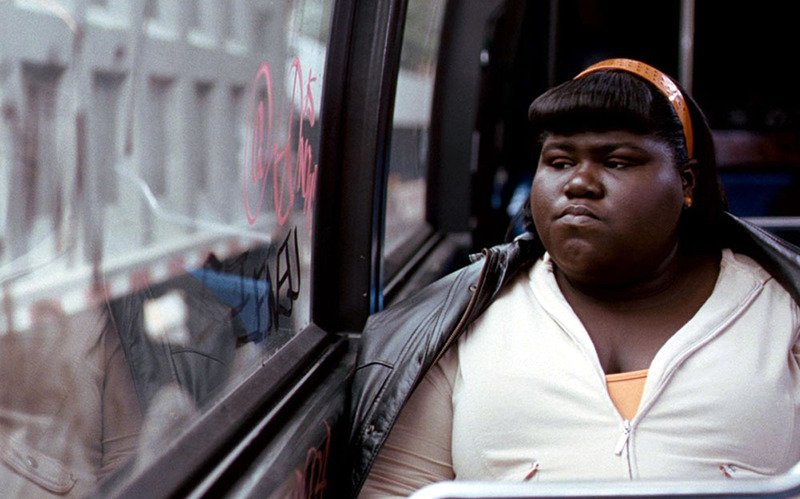 Claireece Jones (Gabourey Sidibe), who goes by her middle name, Precious, is a 16-year-old black girl who has been sexually abused and raped by her father since she was three. She fathered two of his children, and the first born has Down syndrome. Precious’ mother Mary (Mo’Nique) physically and emotionally abuses her on a daily basis. Her own grandmother is scared to take Precious in because she fears Mary’s reaction. To make matters worse, Precious tests positive for HIV, which she contracted from her father. She also cannot read, but she does learn how after being sent to an alternative school. Living with her mother is extremely toxic. Mary hits Precious frequently and throws things at her if she does not listen to her commands. Additionally, she verbally abuses her and puts her down, calling her stupid, fat, and saying that she will amount to nothing. Lastly, she collects welfare, does not look for a job, and consistently tells Precious that education is useless. For a long time, Precious was too frightened to tell guidance counselors and teachers about what goes on in her home because her mother would react violently toward her. 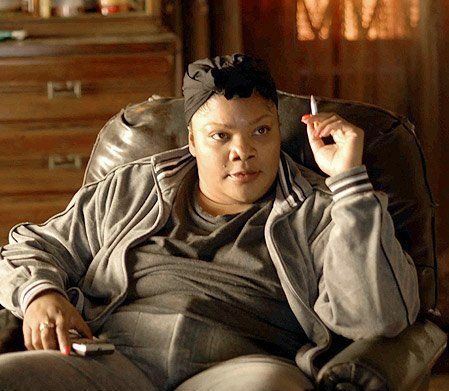 One time a guidance counselor showed up at Precious’ house unannounced, and the mother blamed it all on Precious. By the time Precious’ second child, Abdul, is born, she runs away from home with her son because her mother abuses him, too. Mary sees that he looks just like his father—Precious’ father—and so she throws the infant on the floor. Then she attacks Precious. Precious manages to flee with her child, and she focuses on school and raising him. Mary does not acknowledge that her daughter was raped until Precious’ social worker forces her to admit it. She questions how she could have let that happen to her own daughter. This story is an example of how being abused can perpetuate the abuse cycle, but fortunately Precious has risen above that cycle and has proven that she truly cares about her children. There were mixed reviews for this film. Some critics commended the performances and story line for its realism, while others insist that it was stereotypical and overdone. Here are some reviews that show the pros and cons. Con: Mark Anthony Neal, a professor of black popular culture at Duke University, told the New York Times, “People are suspicious of narratives that don’t put us in the best light.” He said there has always been a history of negative imagery in popular culture, which perpetuates the notion of black people being inferior. Pro: Latoya Peterson, the editor of Racialicious.com, a blog about the intersection of race and popular culture, calls out those who believe black people should only be presented in an acceptable light. She said of one commenter against the movie, “He’s flattening the black experience, and in that way, he denies our humanity.” Peterson also thinks the movie touches upon many important topics that affect young girls, such as sexual abuse, poverty, violence, and doing poorly in school. Con: Film critic Armond White said the movie is racist propaganda and a reminder that art and politics cannot be separated for black people. Have you seen the movie? Where do you stand? Fried Green Tomatoes is a movie that tells the story of two good friends in 1920s Alabama. The women—Ruth (Mary-Louise Parker) and Idgie (Mary Stuart Masterson)—grow up together, and Ruth eventually gets married, even though she doesn’t seem crazy about the idea. After Ruth marries, Idgie visits and finds her with a black eye. She suspects Ruth’s husband Frank did this to her, and her suspicions are confirmed the next time she visits. During the second visit, Idgie and two male friends help Ruth pack up her belongings so she can permanently leave the house, but Frank comes home before they take off. When Frank sees what is going on, he smacks Ruth in the face, causing her to fall against the staircase railing in their home. Idgie jumps on top of Frank and starts punching him in the head, but he slams her head against the wall and reaches for Ruth, who happens to be pregnant. He throws his wife down their staircase, and she lands directly on her stomach. Idgie threatens to kill Frank if he ever touches Ruth again, and the two women leave with their two friends. Had Idgie and the two friends not come to Ruth’s rescue, would she have eventually left her abusive husband? We may never know. Not leaving at one’s own volition is a common occurrence with domestic violence victims. This can be for a number of reasons, but a common one is fear that one’s partner will stalk them and either react with more violence or worse, attempt murder. Currently in the U.S., Alabama has the second-highest rate of domestic violence killings (2011). When we thought about movies that take place in the south, several came to mind that happen to portray domestic violence or sexual abuse: Forrest Gump, Divine Secrets of the Ya-Ya Sisterhood, Ellen Foster, and Hounddog, to name a few. Does anyone else feel this way, and do you think it is a problem? Or do you think it is a fairly accurate, or necessary, portrayal of what goes on? In the United States, Nevada ranks first in domestic violence killings. Therefore, we decided to take a look at the 1995 Martin Scorsese film, Casino, to analyze its portrayal of domestic violence. The setting is Las Vegas, and the movie is based on a non-fiction book by the same name. This movie primarily shows us examples of domestic violence toward men, but there are also instances toward women. The movie is about a wealthy, skilled gambler-mobster named Sam ‘Ace’ Rothstein (Robert Dinero), who marries Ginger (Sharon Stone), a hustler who draws high-rollers to the casino. While the theme of the movie is about corruption, the relationship of the married couple is a major part. Very reluctant at first, Ginger marries Sam after a lot of convincing, and Sam tells her he will always be able to take care of her. He truly seems to care deeply about Ginger. However, from the start of their marriage, Ginger goes behind Sam’s back and speaks to her abusive ex-boyfriend, eventually giving him tens of thousands of dollars of Sam’s money. All the while, she is drinking frequently, doing drugs and stealing her husband’s prescription medication, and it is implied that she may also have a mental illness. She frequently lies to Sam about her whereabouts. One night when she alone with her daughter Amy (who looks about eight year old), Ginger ties the child to the bed post and locks the door. Then she leaves for the evening. She hits Sam when he kicks her out of the house and tells her to pack her bags. Ginger drives home one morning and deliberately crashes her car into Sam’s Mercedes several times; she drives over the lawn and threatens to crash through the living room, she curses loudly at Sam, and then she throws parts of a plant at Sam’s face. Watch the scene below. Ginger does illegal drugs in front of Amy. Ginger’s ex-boyfriend is abusive; he told Amy to shut up, and the he threatened to slap her in the face. She cheats on Sam with his mobster friend, Nicky– whom she also hits multiple times. Then Nicky hits her back once. He threatens to kill Ginger if she ever abuses their daughter again. When Ginger tries hitting Sam one night, he restrains her and drags her toward her closet so that she can pack her bags and get out of the house. From these examples, it is evident that Sam exhibits multiple characteristics of a domestic violence victim. No matter how horribly Ginger treats Sam, he still loves her. Love is often a major reason that victims remain in abusive relationships. Secondly, he still has hope that she will change, even though she has proven time and time again that she cannot be trusted. She has never sought help, but Sam still believes there is hope for her; she even says she will do better, but she never follows through. At the same time, Sam has never suggested to her that she seek help, but she clearly needs it. Financial issues are also at stake, which is common in domestic violence cases. In Sam’s case, he is involved with illegal business in the casino industry, which probably also makes him want to avoid drawing too much attention to his family. While Sam is the one with all the money, he worries that if he gives his wife all the money she was asking for, all at once, she might leave him for good. Maintaining family unity at all costs is another trait that Sam exemplifies; he wants to stay with Ginger because she is the mother of his child. [Source]. Not only is Ginger and Sam’s relationship toxic for each other, but the toxicity also carries over to their daughter’s life. Ginger’s behavior puts her daughter in danger. According to Psych Central, “Children are 1,500 times more likely to be abused in homes where partner abuse occurs. These children have a six times greater chance of committing suicide, 24 percent greater chance committing sexual assault crimes and a 50 percent greater likelihood of abusing drugs and alcohol” [source]. Additionally, girls who are abused in childhood are likely to become victims of domestic violence as adults. At the end of the movie, we learn that Ginger dies of a “hot dose” [of drugs]. She was no longer with Sam at this time. Some movie reviews suggest that her death was a plotted murder, but it is not specified who might have done that to her. -For her role as Ginger, Sharon Stone won a Golden Globe for “Actress in a Motion Picture – Drama,” and she was also nominated for an Academy Award (“Best Actress in a Leading Role”). Can Domestic Violence Be Stopped? This month, CASA of Atlantic and Cape May Counties will be focusing on domestic violence. Eighty five percent of domestic violence victims are women. Each year, approximately 1.3 million women are victims of physical assault by an intimate partner. Emotionally abusive and controlling behavior are often accompanied with violence toward women. Unfortunately, domestic violence can take place for generations and can last a lifetime. Thirty to 60 percent of individuals who abuse their intimate partner also abuse children living in the same home. Addressing the first issue, Firestone points out that in our society, men often feel the need to be stronger and more powerful than women. (She makes it a point to note, however, that men are also victims of domestic violence; they account for 15 percent). “Being challenged by a relationship partner can be distressing, arousing fear and anger for some people,” she writes. This can lead to the destructive thoughts, which involves negative self talk and also aiming negative comments at one’s partner. When a person’s cognitive process is filled with thoughts such as–“She/he is controlling you. Don’t let her/him act like you are weak”–this can trigger violent behavior. In addition to these destructive thoughts is the “fantasy bond,” or a couple’s idea that they cannot live without each other. Believing this type of connection exists within the abusive relationship makes it difficult for an individual to leave and seek help. What’s worse, staying in an abusive relationship further perpetuates the abuse. How can the cycle of domestic violence be stopped? Firestone suggests re-education programs, such as San Francisco’s Manalive program. Manalive helps individuals learn to recognize their feelings, acknowledge their behavior, understand what triggers them, and learn when to step back before acting out in violence. According to Firestone, a good rehabilitation program should focus on self-reflection, self-control, and empathy, allowing individuals to become resilient and more apt to show love and affection for their families.